Vegas Golden Knights Win Again! 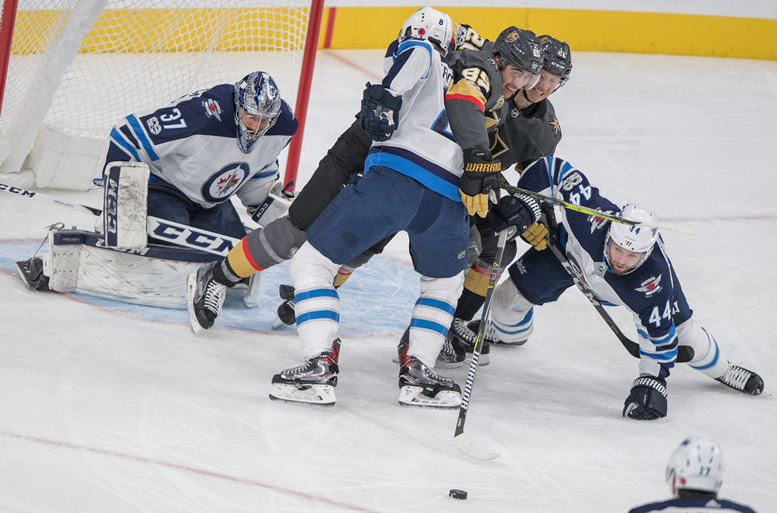 The Vegas Golden Knights are on a winning streak (again) After two weeks on the road, they came back to a friendly capacity crowd of 18,000 fans to beat Winnipeg Jets 5-2, at the T-Mobile Arena. The new kids on the block have a great record at home and for a first-year NHL team, they are showing they have the ability to take this all the way to possibly hoisting the Cup. That is if they can stay healthy and motivated! Not bad for a team nobody thought would ever appear in this town of wasted dreams and failed sports franchises. The Vegas Golden Knights became the first team in NHL history to win their first three games. Not a bad way to start, especially when the first game was right after the October 1, Vegas Massacre. They were also the first expansion team in any of the four major professional leagues to start the year 3-0 since the San Diego Padres accomplished that feat back in 1969. The Golden Knights Vegas, opened its inaugural NHL season at T-Mobile 8-1-0, this win helps them rebound nicely in its return home after a not so hot 1-4-1 road trip. And what other NHL team has the hottest show on ice? They even made clearing the ice into a Las Vegas style show!